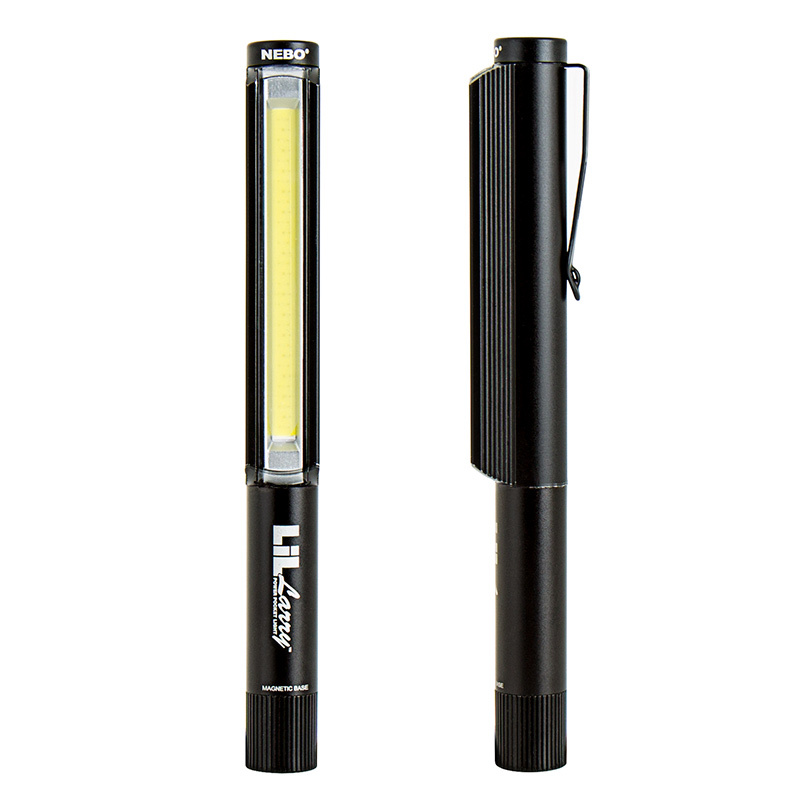 LiL Larry LED Flashlight by NEBO: On Showing Beam Pattern. LiL Larry LED Flashlight by NEBO: Back View. LiL Larry LED Flashlight by NEBO: Showing On/Off Switch. 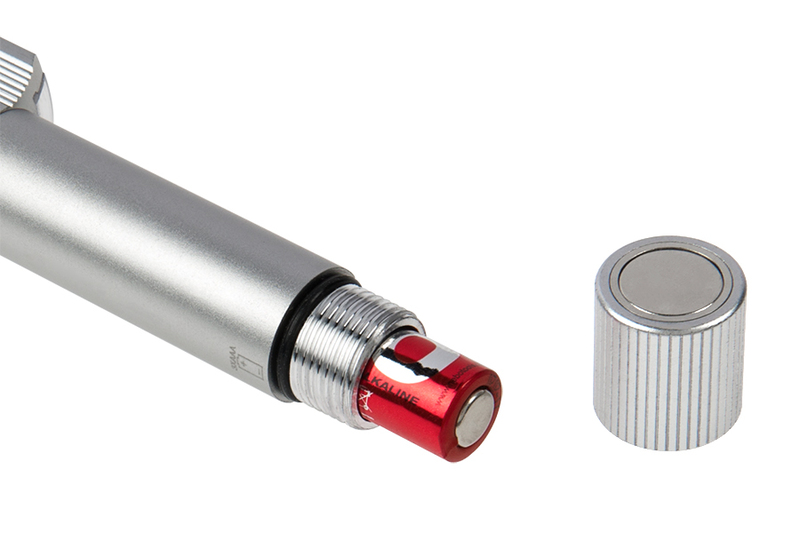 LiL Larry LED Flashlight by NEBO: Showing Magnetic End. 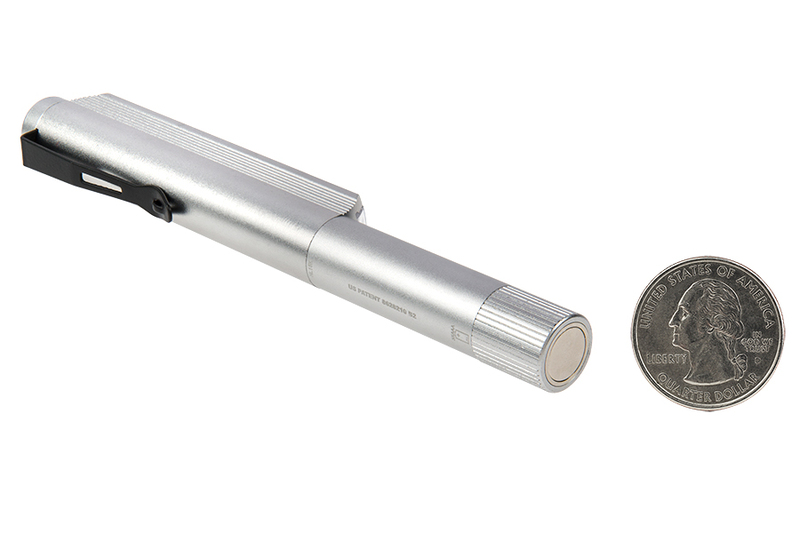 LiL Larry LED Flashlight by NEBO: Showing Battery Access. 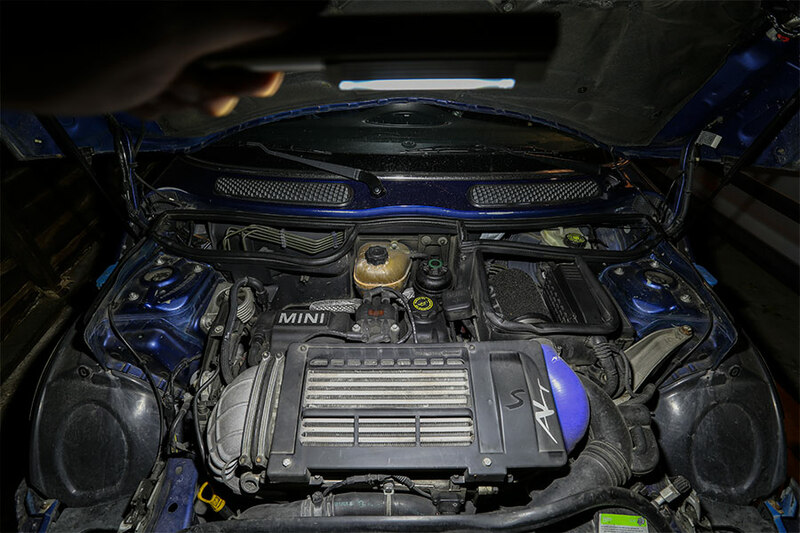 LiL Larry LED Flashlight by NEBO: Shown Lighting Up Car Engine. 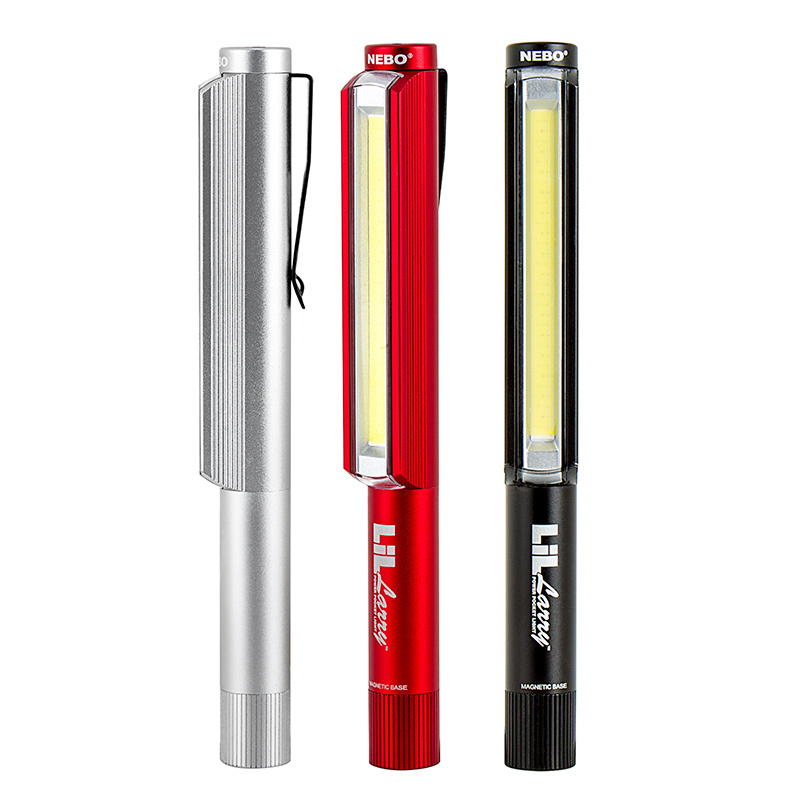 LiL Larry LED Flashlight by NEBO: Available in Red, Silver, & Black: 360° View. 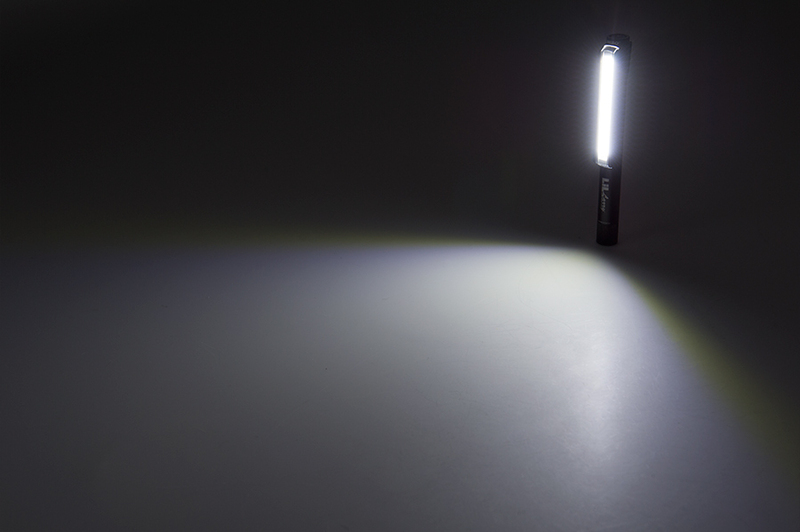 Small in size, yet mighty in output is the LiL Larry™ LED flashlight by NEBO. This powerful, pocket-size LED work light provides impressive illumination with a cool-running COB (chips-on-board) LED. 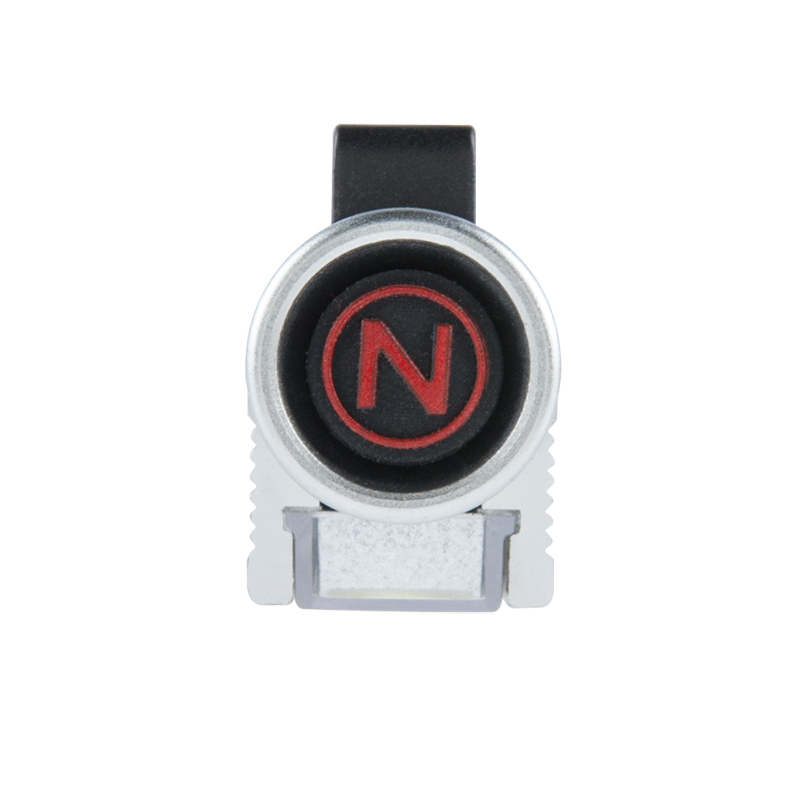 Click the top-mounted button to activate the bright 250-lumen, soft 95-lumen, or red flashing modes. 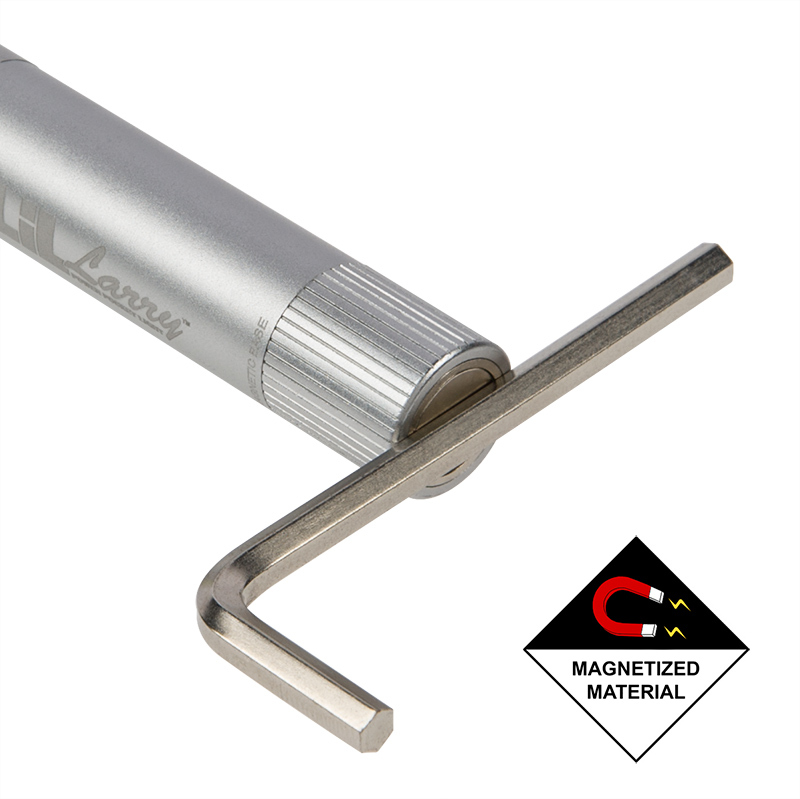 Secure LiL Larry™ to any metal surface with its powerful magnetic base, or clip it onto a waistband or pocket. With a durable anodized aluminum body that's water and impact resistant, this work light can be used in the toughest of environments. Choose from red, silver, or black finish options. Requires 3 AAA batteries (included). I bought this for my wife, who's a pediatric nurse working at night. Besides being bright enough to light up her work (and the room, and the hallway), she found that on its brightest setting she can use the light (placed under the child's hand or fingers) to locate veins for venipuncture - considerably more effective than the $200 light the hospital had provided. The flashing red setting is also entertaining to the kids, especially boys between 4 and 9 years old! If we have any issue it's that we made the mistake of looking directly at the light when we first turned it on - THAT'S a bright light! Thanks, and I'd recommend it any time. Got this as part of a package deal and I figured it would be average at best. This thing is bright!! The magnetic end is a nice feature to so it can hold itself if you need it to. I will definitely keep this in the vehicle for all types of uses. We'll see how long the battery lasts but for now, it's great.